The Southern Flamingo is a large bird, most often seen in flocks. They can measure five feet, are easily identified by their pink colour on the outer feathers, their long neck, long legs and large wings. The legs have short toes, which are also webbed, helping the bird when swimming. Male flamingos are larger than females and this feature is the only visible difference between the sexes. 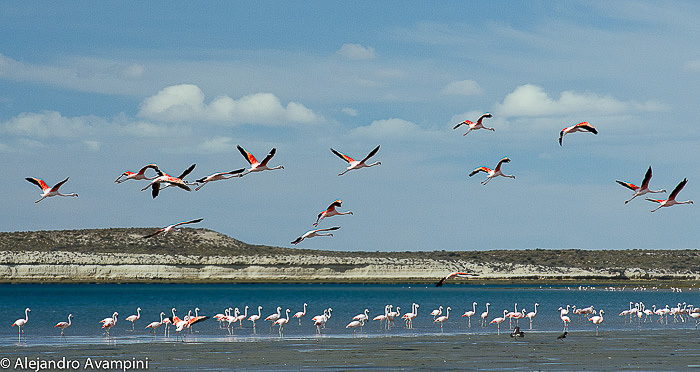 The colour of their feathers are acquired by the food they eat, that’s why their offspring are born whitish and take on the intense pink colour from the small crustaceans, which form the major part of their diet.Flamingos are not resident in Peninsula Valdes area, however they nest in lakes in the Province of La Pampa. They are very wary birds and are easily disturbed by human presence. They can be very difficult to approach and photograph. The best way we have found to photograph them is to wait, camouflaged, at low tide. As the tide comes in, the birds will come to feed closer inshore. You must take great care not to alarm them or your opportunity will be lost. Photographing Flamingos requires a great deal of patience, as many of the professional photographers who live and work in the area will attest. 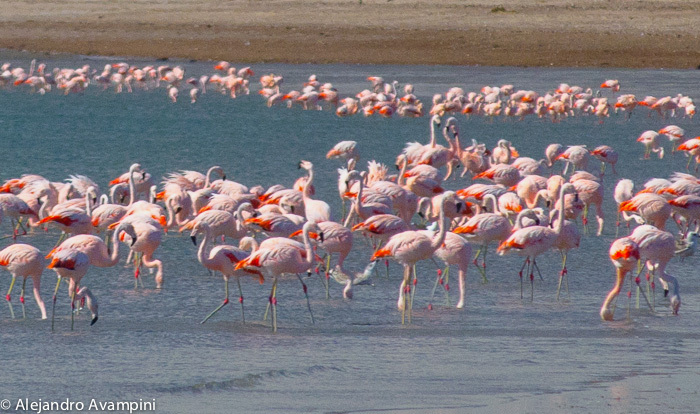 Flamingos are not at all used to humans, living completely wild, and are, therefore, very elusive. Remember that Valdés Peninsula is an important area for wildlife to raise their young, and, as such is deserving of respect and minimal human impact. There are already 300,000 tourists visiting the area each year and the Peninsula is to some degree, affected by human greed. Please help to raise awareness of the need for respect for our wildlife by your own example. 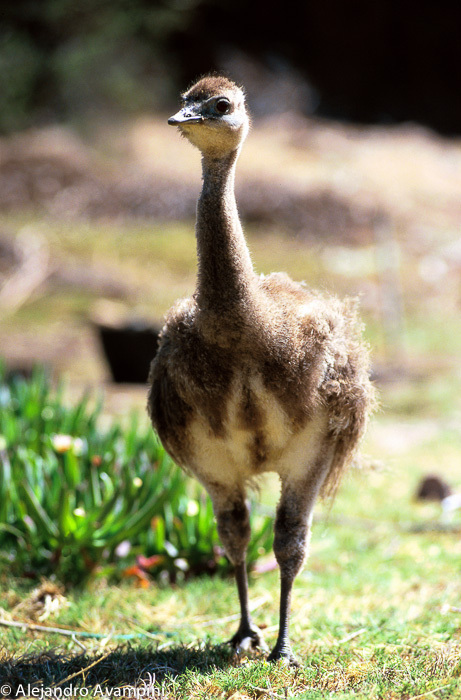 The rhea has been one of the species of wildlife most utilised by Man in Argentina. For Patagonian natives, it was a favourite food, along with the guanaco, and they full took advantage of all of it: the meat, cartilage and fat were consumed for food; feathers as ornamental, fans and whisks; the leg tendons were used in making ropes for bolas, bones for musical instruments; leather for tobacco pouches and saddlebags; and the eggshell and feathers were used as medicines. It is also found of countless legends, as in the following story, which tells how a rhea was the origin of the Southern Cross constellation. 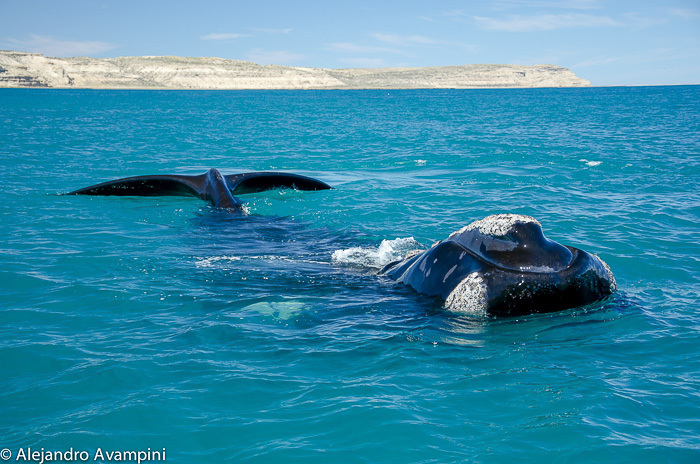 Also known as “Ñanco”, it can be seen throughout the Valdes Peninsula. The males measure up to 48 cm and the female is slightly larger, reaching 52 cm. 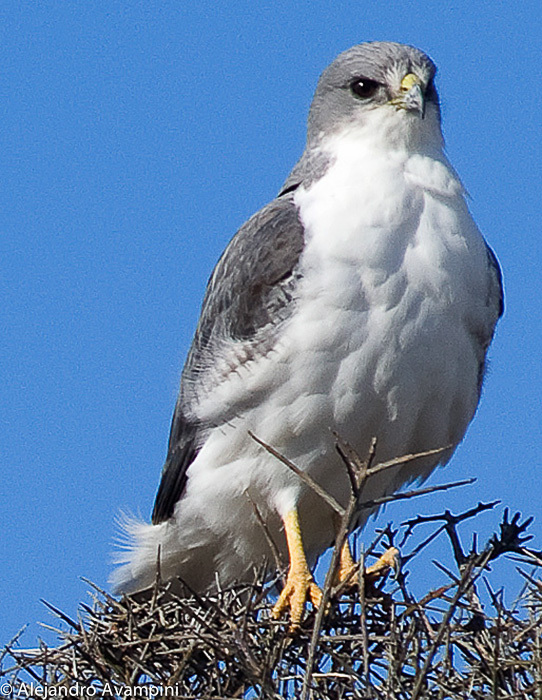 The plumage is grey on the back, with a white underside in adults. Its’ most distinctive feature is a black stripe down the tail. 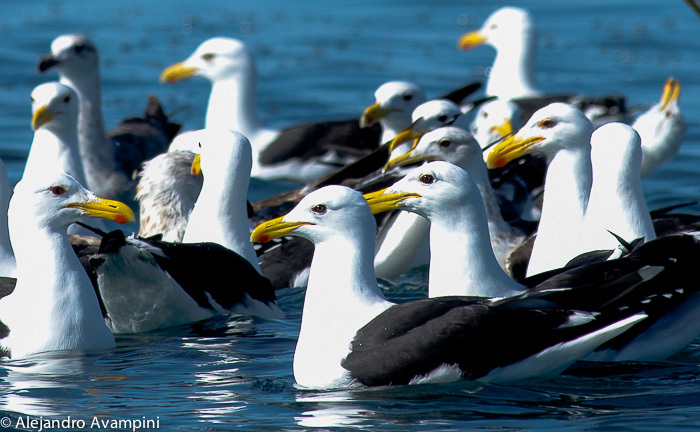 Juveniles keep their brownish striped and spotted plumage and yellow legs for two years. It feeds on small mammals, nothing bigger than the hare and also varying species of birds. 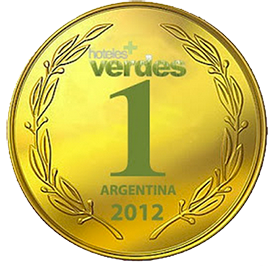 Some reptiles, amphibians and invertebrates are also included in the diet. The method of hunting is to fly in a circular motion over an area and plunge at an angle, striking the prey on the back with it’s powerful talons. 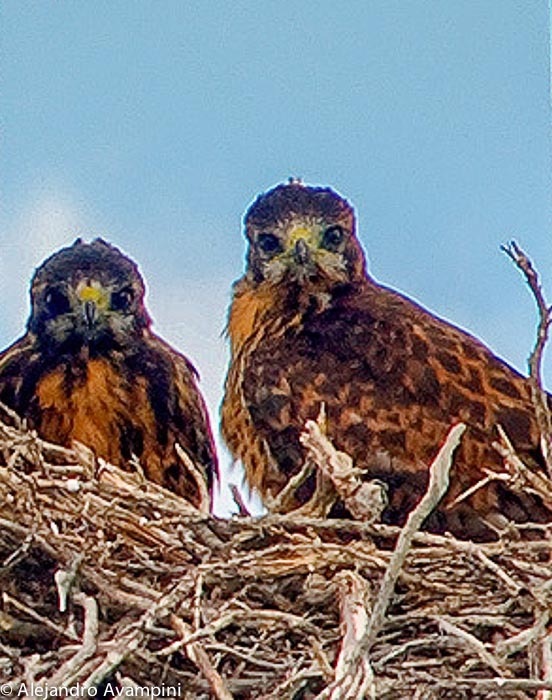 Nests are built by both members of the pair. The Variable Hawk likes thorny trees, in this region, preferring to nest in Molles The bird will also nest lamp posts. The nest is large, about three feet in diameter and is made of sticks. The male feeds the female during incubation. After the chicks hatch (in December), she will be responsible for them. Folk tales say that if, when travelling, a hawk crosses your path in front of you, your trip will go well. If, however, it crosses your path behind you, you should take great care until you reach your destination. This elegant bird, was on the verge of extinction by early 1900. The cause of this destruction was the prevailing fashion amongst women for “aigrettes”, which were made from the breeding plumage of the male bird. The spectacular nature of these feathers gave them great value and hunters pursued the bird tenaciously without any control and without respecting the breeding season. Finally, at the last moment, laws began to be applied to protect our wildlife. In this way the beautiful white egret survived and in recent years they have more numerous but are still rare. 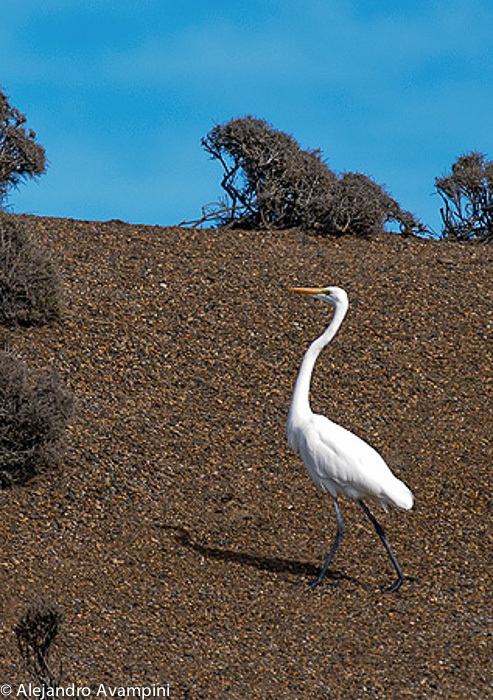 The Great Egret nests in colonies of several pairs, which may number 20 individuals. When nesting, the egret chooses wooded areas and builds a large, platform like nest of branches, reeds, leaves etc. at the top of a tree. It lays 6 to 8 uniformly light blue eggs. After hatching, the chicks are fed by both parents on a diet of toads, frogs, lizards and small fish, depending upon the type of food available and the area where they are nesting. AT about 4 weeks, the chicks are able to forage for food for themselves. When the chicks fledge, the parents abandon them. 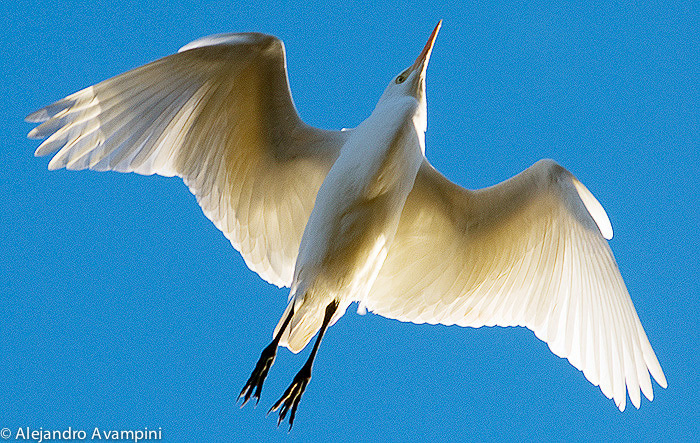 The Great Egret is a solitary hunter, but roosts and nests in flocks. 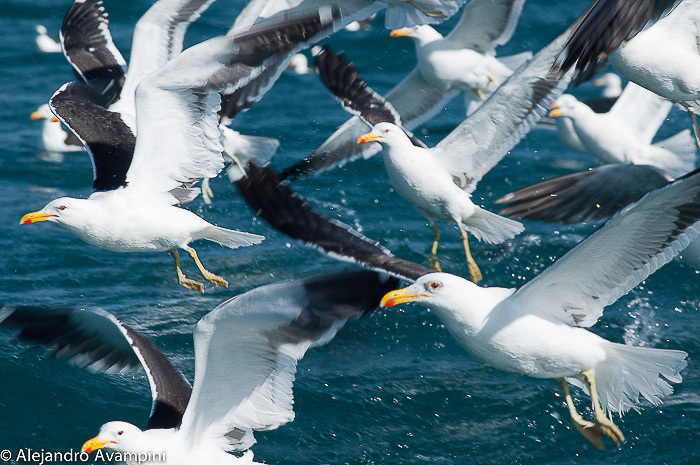 It is easily recognised when in flight, particularly when migrating. 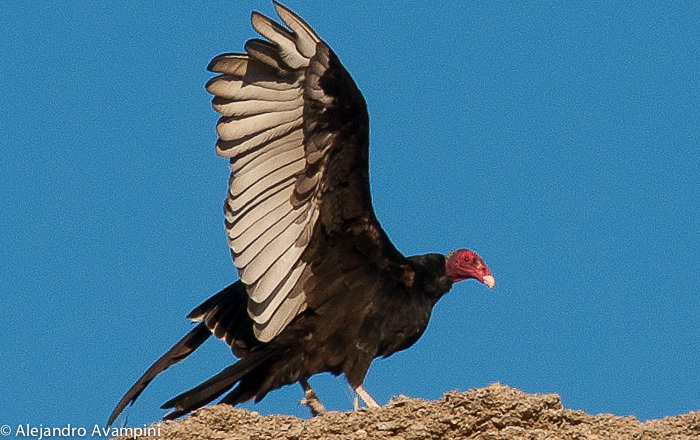 It flies in flocks, keeping perfect formation, with legs trailing and neck bent into an “S” shape. This special bird has an incredibly aerodynamic shape. The distance between the tips of the extended wings reaches 2m. An adult male can weigh up to 5 kg. The family feature is the nostril, located in the upper beak in the form of a single nasal tube, but internally divided in two by a central partition. 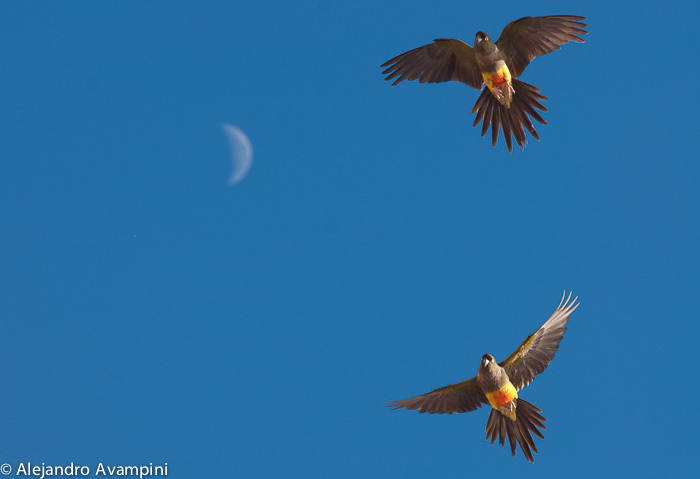 Monitoring these birds has shown that they have incredible flying skills and stamina. 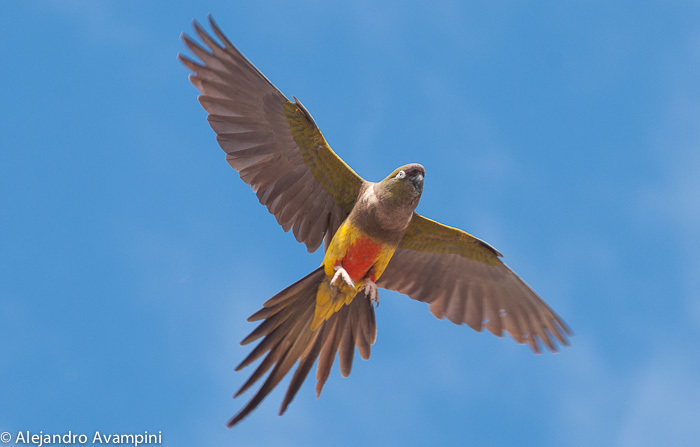 One ringed specimen from New Zealand was seen a week later on the Patagonian coast, implying that it flew more than 5000 kms. over open ocean, in less than 7 days! In the colonies of northern Patagonia, the laying date (for a single egg) begins during the last week of October and is relatively synchronous. The first chicks hatch during the last week of December. 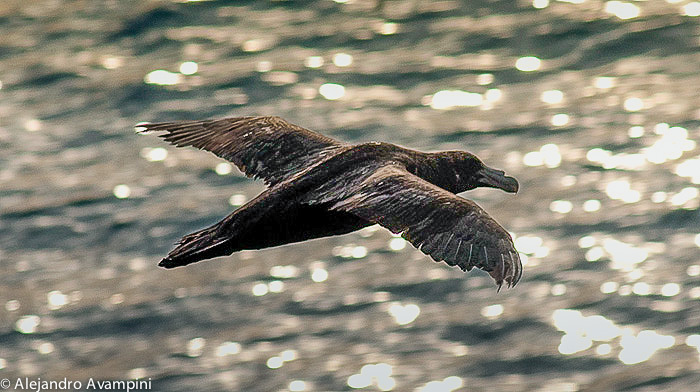 Adults remain in the nest with the chick for nearly two weeks, after which time, the chicks are left alone in the colony while parents feed at sea, returning to regurgitate food for them. 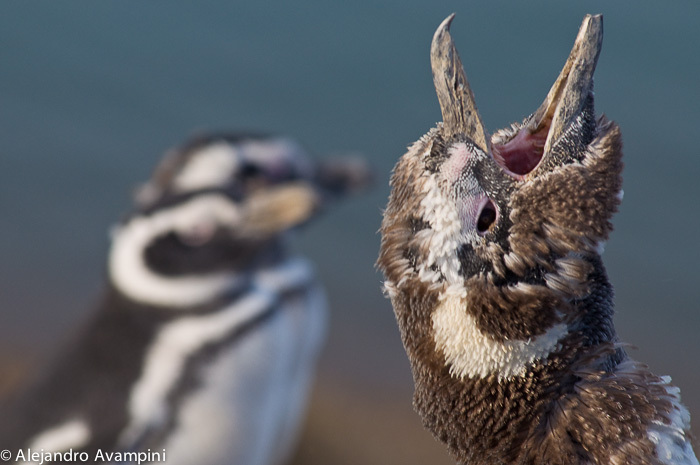 In Patagonia, the chicks become independent around the second week of March and early April. En consecuencia son aves que en la actualidad se ve en número desproporcionado a años anteriores. El monitoreo de ejemplares demostró que vuelan distancias increibles.Un ejemplar anillado en Nueva Zelanda se vió una semana después en las costas patagónicas, lo que implica que volaron mas de 5000 km en menos de 7 días, sobre el agua!!! The Latin name of this species “cunicularia” means “digging mines or tunnels”, reflecting how this owl builds its nest: in underground tunnels. The owl typically nests in open areas, under the protection of a tree or shrub. It chooses sloping ground, which prevents rainwater from entering the tunnel and flooding it. It is not averse to making use of the abandoned nesting tunnels of other birds and animals. The Burrowing Owl commonly excavates a burrow at the side of fields or by roadsides. Should the entrance become blocked for whatever reason, it will excavate another burrow at the edge of the field. The nesting season runs from October to December. The chicks hatch in 28 days. 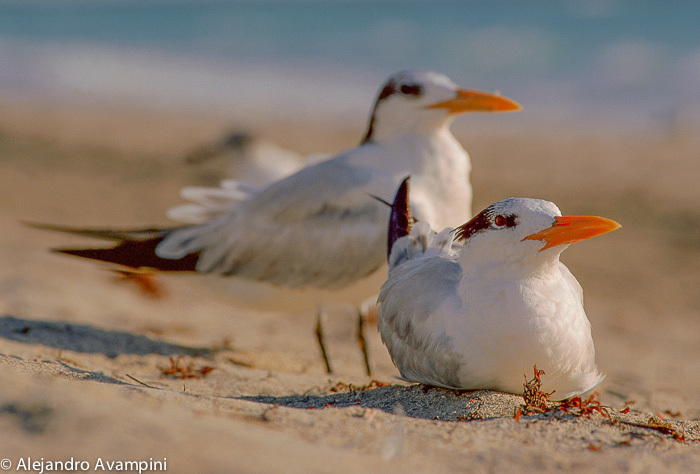 During hot spells, they can be seen rubbing their beaks or cuddling each other. The owl is not afraid man, on the contrary, it easily adapts to his presence. It lives in open grasslands and can be found in the Caleta Valdes and Punta Delgada. Feeding Burrowing Owls have been subject to persecution by Man, due to irrational superstitions. As a result of this, in addition to placing the Burrowing Owl in danger of extinction, this persecution has altered the environmental balance. 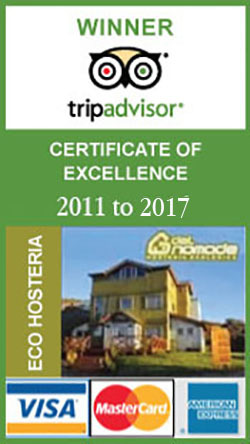 This is because, as well as birds, scorpions, insects and other small mammals, which, if allowed to multiply unchecked, would have an adverse effect upon agriculture, they eat rodents which are known carriers of Haemorrhagic Fever, or O’Higgins Disease, which is endemic in Argentina.Many times the man usually irrationality attacks the owls especially because superstitions. The Burrowing Owl has a refined sense of hearing. They can hear sounds of low intensity that allow them to detect the presence of small prey. The thick layer of feathers covering its flat face, operates as a kind of receiver screen that helps to focus sounds on the ears. Their natural predators are ferrets, weasels, cats and foxes, besides man. 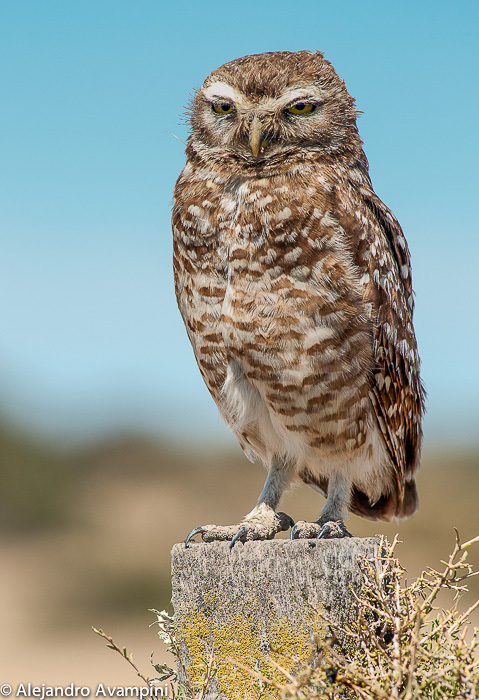 Whilst out and about, you are sure to see Burrowing Owls and, through binoculars, you will be able to see the deep and direct gaze of their large eyes. The owl’s eyes, like ours are front facing, resulting in binocular vision which allows refined perception of distance. The eyes have many photosensitive cells and large pupils, which permit the bird to distinguish objects clearly in low light. 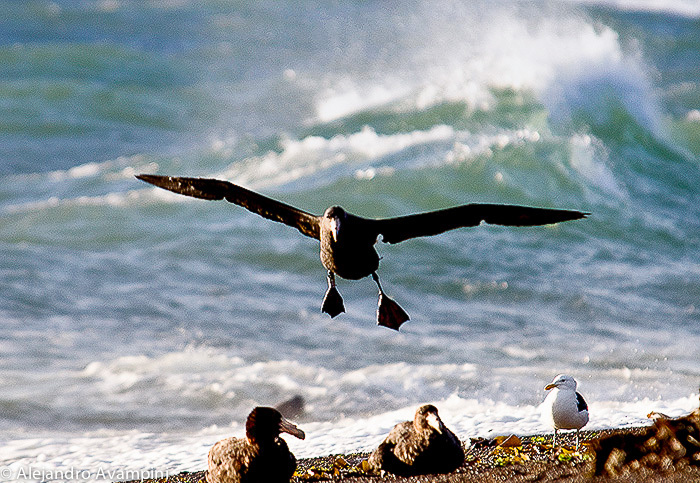 Along the entire coast of continental Patagonia, the imperial cormorant is a species almost piscivorous but also feeds on marine invertebrates such as cephalopods, crustaceans and polychaetes. 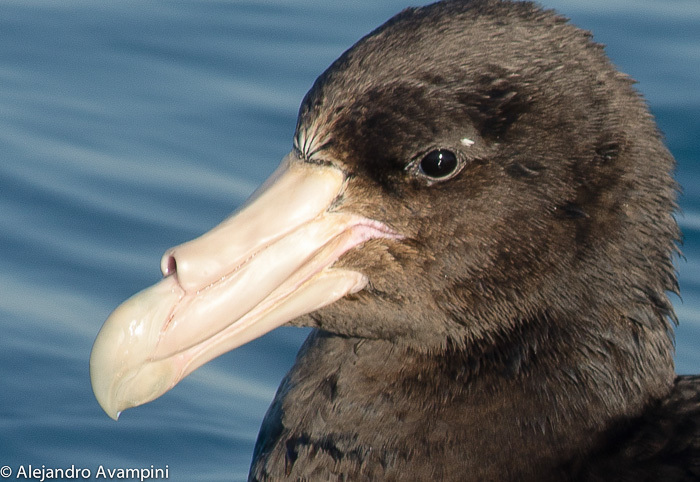 The Imperial Cormorant consumes a large proportion of pelagic and demersal fishes such as anchovy, hake and some species of mackerel and uses a broad range of depths throughout the water column. 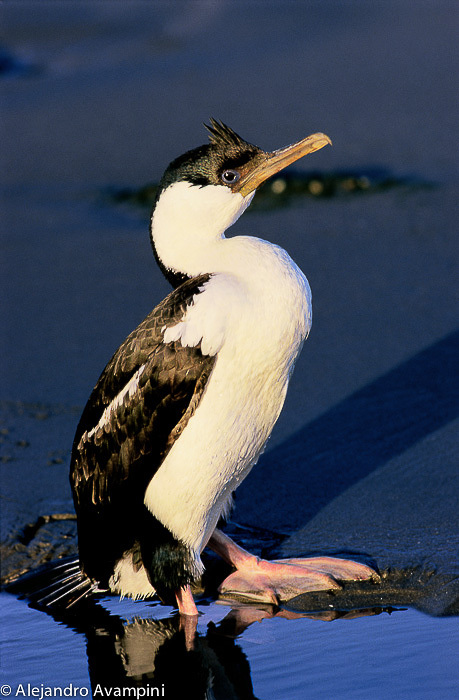 Recent studies showed that the Imperial Cormorant feeds both in shallow coastal waters as well as deep waters (about 70m) and offshore (more than 8 km). 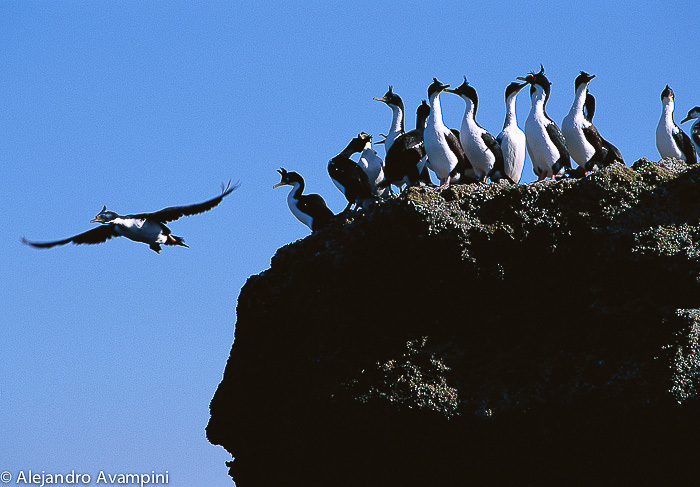 The imperial cormorant is the leading producer of guano in Patagonia. 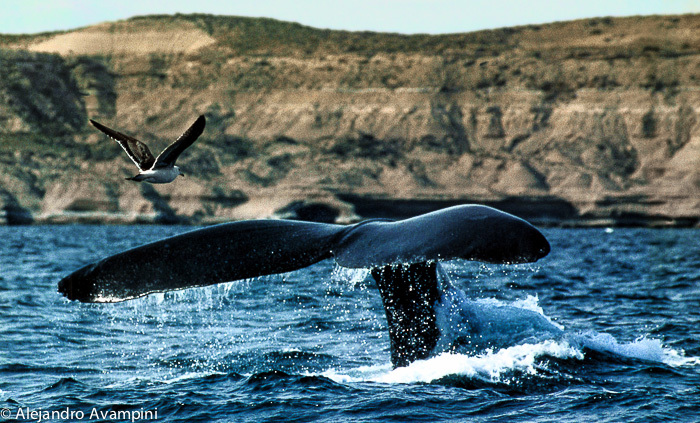 Currently, the guano is mined in only a few colonies of Chubut and Santa Cruz. The guano exploitation is still carried out in a similar way to that of a few decades ago, and its extraction is carried out manually and sporadically. Estudios recientes, mostraron que el Cormorán Imperial se alimenta tanto en aguas costeras de poca profundidad como en aguas profundas (alrededor de 70m) y alejadas de la costa (más de 8 km). El Cormorán Imperial es el principal productor de guano en la Patagonia. En la actualidad, el guano se extrae en solo unas pocas colonias de Chubut y Santa Cruz. La explotación guanera continua realizándose de manera similar a décadas atrás, llevando a cabo la extracción en forma manual y discontinua.